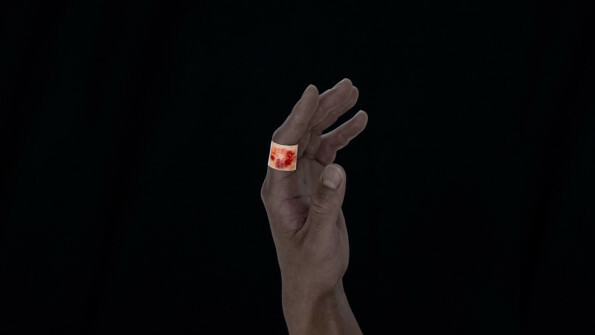 Boo-Boos is a line of adhesive bandages that make your cuts and scrapes look way worse than they really do. 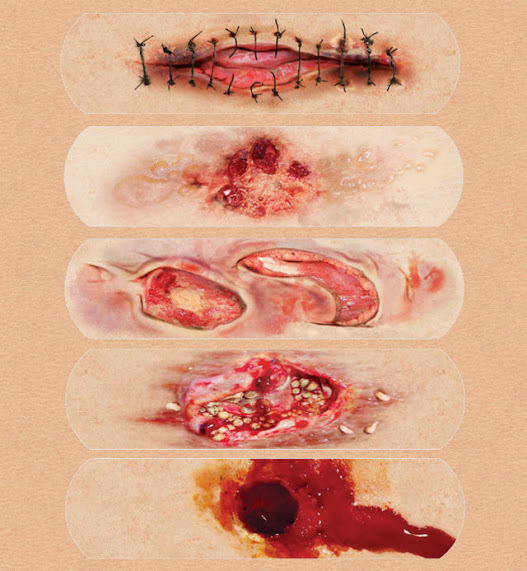 There are five different designs included in a pack — slashing sharp force trauma, chemical burn, small-caliber gunshot, skin ulcer with skin slip, and decubitus ulcer with maggot infestation. The maggot infestation is a little overkill aside, I think I’m gonna stick with my Hello Kitty Band-aids and call it a life. Mainly because just editing the photos for these made me queasy. And if there’s one thing I can’t tolerate, it’s bigotry. If there’s two things I can’t tolerate, it’s bigotry and anything that negatively impacts my appetite.